The primary purpose of any emergency signaling device is to pinpoint a location to ensure rescue within that first 24 hours following an emergency during which the majority of survivors can (statistically, anyway) be saved. An Emergency Position Indicating Radio Beacon (EPIRB) goes a long way toward accomplishing that goal. When activated, EPIPBs transmit a coded message on the 406 MHz distress frequency, which is then relayed via the Cospas-Sarsat global satellite system and earth stations to the nearest rescue coordination center. EPIRBs featuring built-in GPS can provide location accuracy of 150 feet or less. The popularity of Personal Location Beacons (PLBs) has soared in recent years due to their portability and lower costs, so why not skip an EPIRB altogether and go with something you can wear? Although PLBs and EPIRBS Personal Location Beacons work in exactly the same manner, there are a number of differences between them beyond just size. 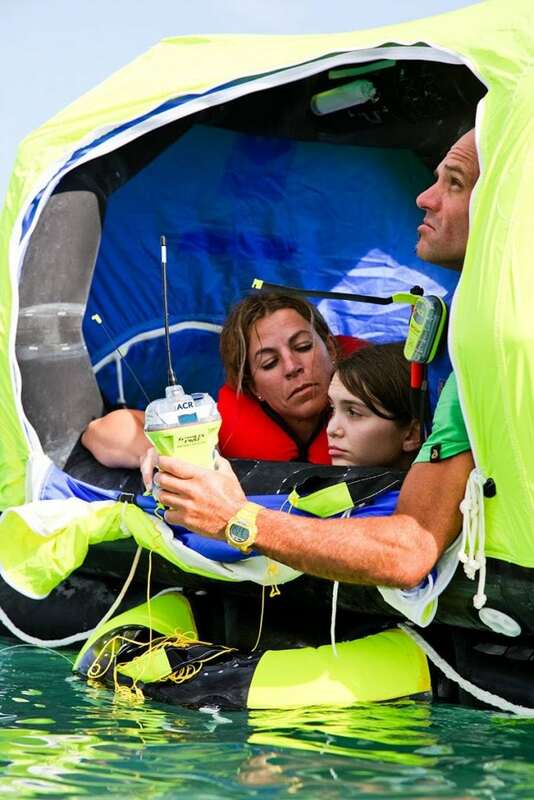 While PLBs transmit for a minimum of 24 hours, transmit time for an EPIRB is double that (a minimum of 48 hours). 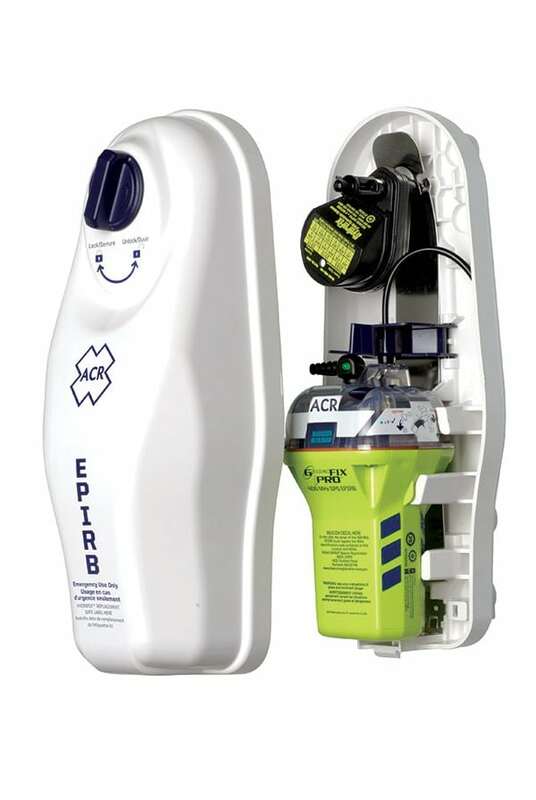 Unlike a PLB, EPIRBs can also be configured to automatically deploy and activate in the event of an emergency. Category I EPIRBs are designed to float free from a sinking vessel and turn on automatically when it comes into contact with water, while a Category II rating denotes those that are manually activated and deployed. As to downsides, unlike a PLB (which is registered to a person) an EPIRB is registered to a specific vessel, which means you can’t legally take it with you to use on board another vessel. While PLBs may be getting the lion’s share of recent publicity, EPIRBs haven’t been exactly idle. Here’s info on two of the latest offerings to hit the market. Billed as the world’s most compact EPIRB, Ocean Signal’s new rescueME EPIRB1 boasts a 30% reduction in size compared to other units—it measures just 7 inches (height with antenna stowed) by 3.5 inches and weighs 14.8 ounces. 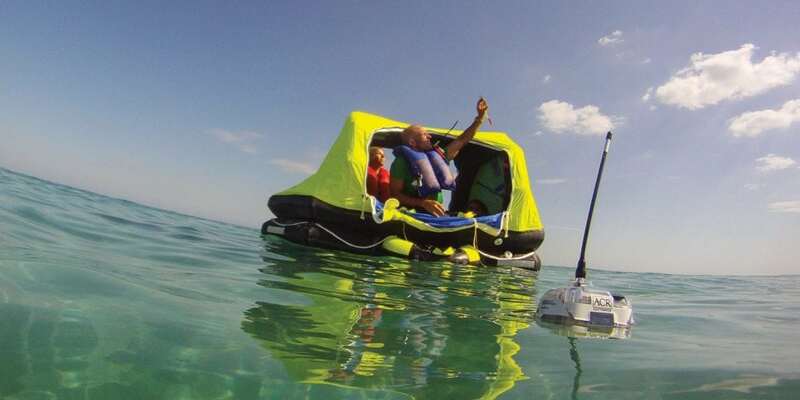 Designed to automatically activate once immersed in water, the small size of the EPIRB1 means it can be easily stowed in a grab bag, life raft, or mounted within a manual release bracket. The retractable antenna provides maximum protection and a reduced outline for easier stowage. The antenna can be deployed using just one hand, while a simple protective tab over the operating keys prevents inadvertent activation. The EPIRB1 provides location information to search and rescue services in three ways—the designated 406MHz Cospas-Sarsat satellite system with position provided by an integrated 66-channel GPS receiver, a 121.5MHz homing beacon, plus two high intensity strobes to maximize visibility in low light conditions. Backed by a 5-year warranty, the EPIRB1 touts 48 hours of transmit time operating within a temperature range of –4° F to 131° F (-20C to +55C). It also has a whopping 10-year battery life. 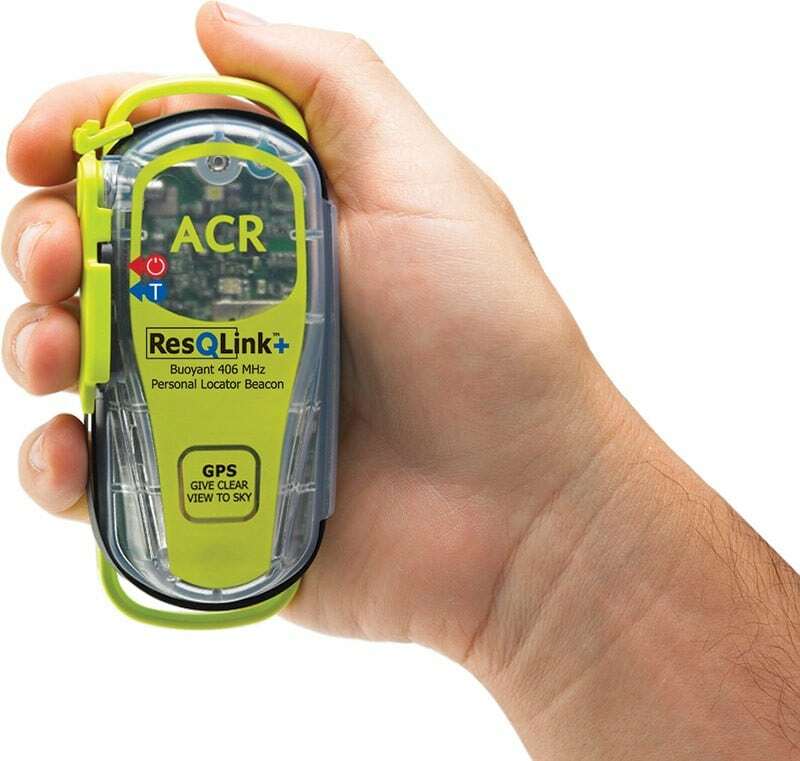 ACR states their all new GlobalFix™ iPRO EPIRB is the next generation in marine safety electronics. The 406 MHz iPro features a digital display that allows you to see all of the beacon’s operational activities—GPS LAT/LON, operating instructions, usage tips, transmission bursts, as well as battery power. The display also makes self-testing your beacon simple and easy to understand, with the iPRO visually guiding you through the self-test step by step—no more listening to beeps while trying to figure out just what those flashing LEDs are supposed to tell you. The CAT 2 iPRO is also touted as being the first EPIRB that offers Dual GPS Technology. Interface it to your onboard GPS to ensure that your LAT/LON is stored inside, so your precise coordinates are transmitted in the first data burst. iPRO’s internal GPS is optimized for cold starts in order to pinpoint your exact location faster than standard GPS-enabled EPIRBs. Constructed of high-impact, high-visibility, yellow UV-resistant polymer, the iPRO also has a 121.5MHz homing beacon and high-intensity white strobe to help rescuers home in on your position. Battery life is advertised as 48 hours minimum at –4° F (–20° C) and is provided by a Class 2 (non-hazmat) lithium battery with a 5-year shelf life. The iPRO is backed by a 5-year warranty.